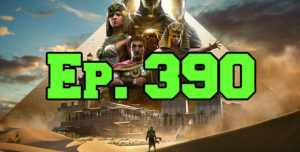 On this episode of The GAP Luke Lawrie and Joab Gilroy talk about their 4 hour hands on session with Assassin’s Creed: Origins. They also discuss the other games they’ve been playing which includes Divinity: Original Sin 2, Cuphead, Golf Story, Steamworld Dig 2, Escape From Tarkov, PlayerUnknown’s Battlegrounds, and more. Over in the news the aliens from Elite: Dangerous have started attacking players, Andrew House announces he will be stepping down as the head of Sony Interactive Entertainment, and a new Red Dead Redemption 2 trailer is released. This episode goes for 1 hour and 50 minutes, it also contains coarse language.